Four of our High-Power LED-lights illuminating a 500 gallon saltwater tank in the Vero Beach Museum of Art (Florida, USA). These photos have been taken during installation,so the water is still a bit cloudy. 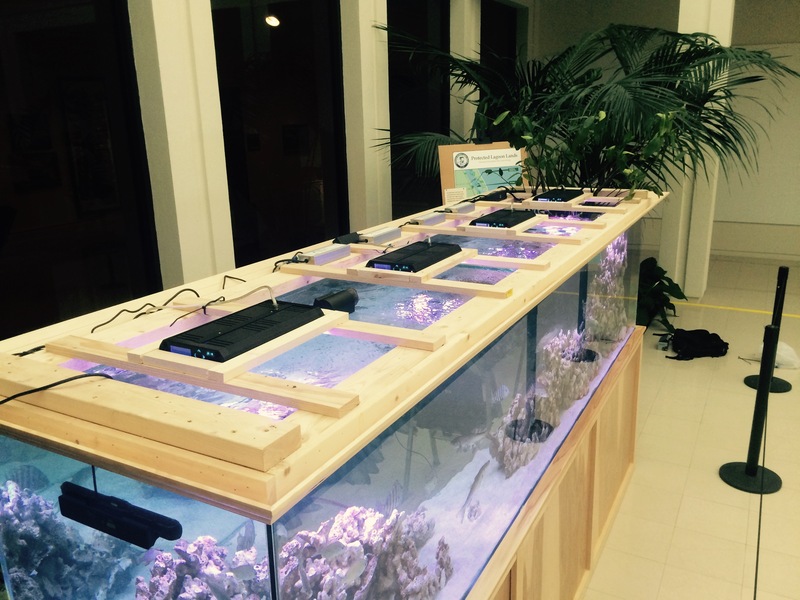 The tank was installed by our friend Chris Portale from The Fish Store in Fort Pierce. Next → Next post: ProfiLux Expansionbox 2. Just more ProfiLux.